Doncaster Council approves plans for an eye-catching new building for its library services, incorporating the frontage of the former Girls Grammar School. The plan would see four existing, but inadequate, buildings (the Central Library, Archives, Museum and Art Gallery and the Library Services for Schools) consolidated into one dynamic central hub that will inspire creativity, informal learning and innovation, the Council stated in its press release. 4,580 square metres of modern and flexible space are planned over three to four floors. The new space will help support the local and creative economy, by providing opportunities for young people, entrepreneurs, businesses and residents to develop skills that will help build a successful career. The striking building will also have the space and facilities to display exhibits which have been locked away from public view for years, including the famous Danum Shield, Royal Borough Charters, heritage collections celebrating Doncaster’s history in railways, horseracing, mining and as a historic Roman town. A raft of cutting edge facilities, technology, services and resources are planned. Residents will be able to learn creative digital skills such as computer programming, app design and coding, digital engineering skills, 3D printing or tap into innovation areas and virtual reality learning. 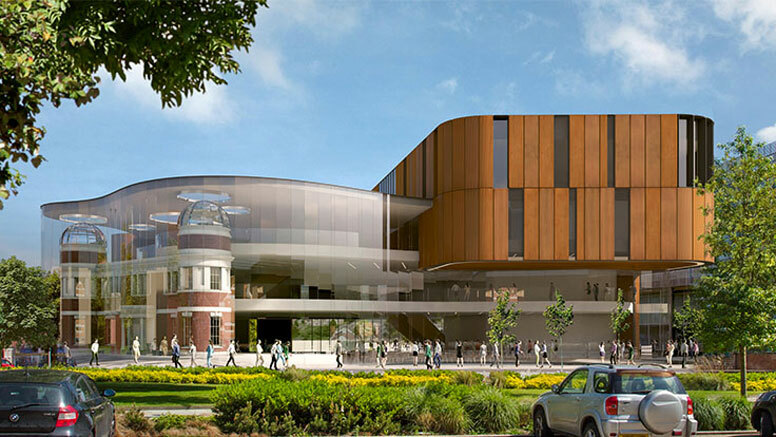 The new building will enhance library services by offering a first class environment to access traditional and modern reading materials for learning and pleasure. The project is expected to cost between £14 and £15 million to build. £10 million will be added to the council’s capital programme. The balance will be funded from borrowing which will be repaid by the savings made through running modern services from one highly efficient and fit-for-purpose building. Applications will also be submitted to national funding agencies, such as the Heritage Lottery Fund and the Arts Council. The construction work is planned to start late summer 2018, with construction completing by early 2020 and the building opening in the spring of that year.